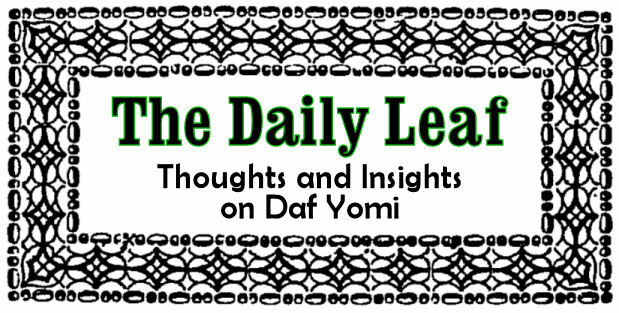 The Daily Leaf: .ל Which Direction to Face? There are many interesting discussions related to the topic of which way to face when davening. If we assume that we should at least attempt to face ירושלים directly from wherever we are (more on that later) there are two ways to accomplish that. The לבוש and others seem to suggest that we should draw a straight line to ירושלים as if on a flat map in order to establish the proper direction. This is known as the Rhumb Line.The ספר אמונת חכמים (somewhere in פרק כ"ד) takes umbrage with that approach and maintains that we should follow what is known as the Great Circle Route. That is the shortest actual distance between two points on the globe, taking into account the curvature of the Earth. For example, when a plane travels from New York to Israel, it will actually head out North-East as it will get there faster. To get an idea of how this works, take a string and place it on the two points on a globe and make the string as tight as possible. You will see that the path does not start out South-East as you might have suspected. So this is all fascinating but what do we do with all this information? That's where KosherJava.com comes in. This is a brilliant site dedicated to software development for the purpose of calculating זמנים and זמנים-related issues. One of the more fascinating creations found there is the Zmanim / Bearing to Yeushalayim Map which allows you to click on any point on a Google Map (or search) and get not only the זמנים for that point but the exact bearing to ירושלים according to the above שיטות. I will bring in some concrete examples of this map in a moment. But first, I want to discuss the position of the ערוך השלחן. He discusses (או"ח צ"ד:ז-ח) this issue at great length. He has a fascinating observation on the גמרא to support his conclusion. The פסוקים brought in reference to one davening outside of ירושלים or ארץ ישראל read "והתפללו אליך דרך ארצם," and "והתפללו אל ה' דרך העיר." But for someone in ירושלים, the פסוק states "והתפללו אל הבית הזה," and so on. The word דרך does not appear. He suggests that outside of ירושלים, although one's mindset should be focused on the בית קדש הקדשים, there is no way face exactly in that direction. Rather, one should simply face in the approximate direction. If I am understanding correctly, according to this, in North America, it would be sufficient to simply face East. But it would seem that wherever you are, you should at least make sure to face towards the principal direction. In other words, since ארץ ישראל from North America is certainly more East than South (or North according to אמונת חכמים) it is East that is important. This leads further to a statement made by רמ"א צ"ד:ב that since where he is situated is West of ארץ ישראל, they face East (sounds a lot like the ערוך השלחן.) Let us return to the handy bearing map from KosherJava.com. Below is bearing map from the רמ"א's home city of Krakow (you can drag the map around to move it) showing that the angle to ירושלים is at least 142° which is more South than East. So shouldn't they have been facing South. במ״ש הרב בעל הלבושים סימן צ״ד סעיף ג׳ ז״ל, ודע שכל הארצות האלו אשר אנו מפוזרים בהם כולם הם כנגד מערבית צפונית של א״י ואינם מכוונים במערב של א״י ממש וכו׳ לפיכך נ״ל וכו׳ שיזהר שיעשו הכותל מזרחי כו׳ שיהא נוטה קצת לצד מזרחית דרומית וכו׳ עכ״ל, ואמת הוא שבארץ אשכנז ופולוניא וכו׳ האמת הוא כדבריו וכו׳ אבל כל מ״ש בטעם זה אחרי המחילה הראוי טעות הוא בידו ואינו ענין לדבר זה כלל, וכבר נמצאו כמה מקומות ומדינות שאעפ״י שנמצאו בהם אותם תנאים שכתב הרב בעל הלבושים עכ״ז הרוצה לפנות כלפי א״י ממש צריך לנטות קצת כלפי צפון עכ״ל. The Emunas Chachamim actually addresses your last point. He uses Lisbon, Portugal as an example where according to Levush one would face slightly south, while according to him he was face slightly north.